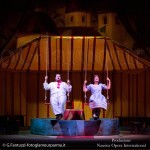 L’Elisir d’Amore – L’elisir d’amore (The Elixir of Love) is a comic opera (melodramma giocoso) in two acts by the Italian composer Gaetano Donizetti. Felice Romani wrote the Italian libretto, after Eugène Scribe’s libretto for Daniel Auber’s Le philtre (1831). 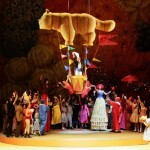 Written in haste in a six-week period, L’elisir d’amore was the most often performed opera in Italy between 1838 and 1848 and it has remained continually in the international opera repertory. 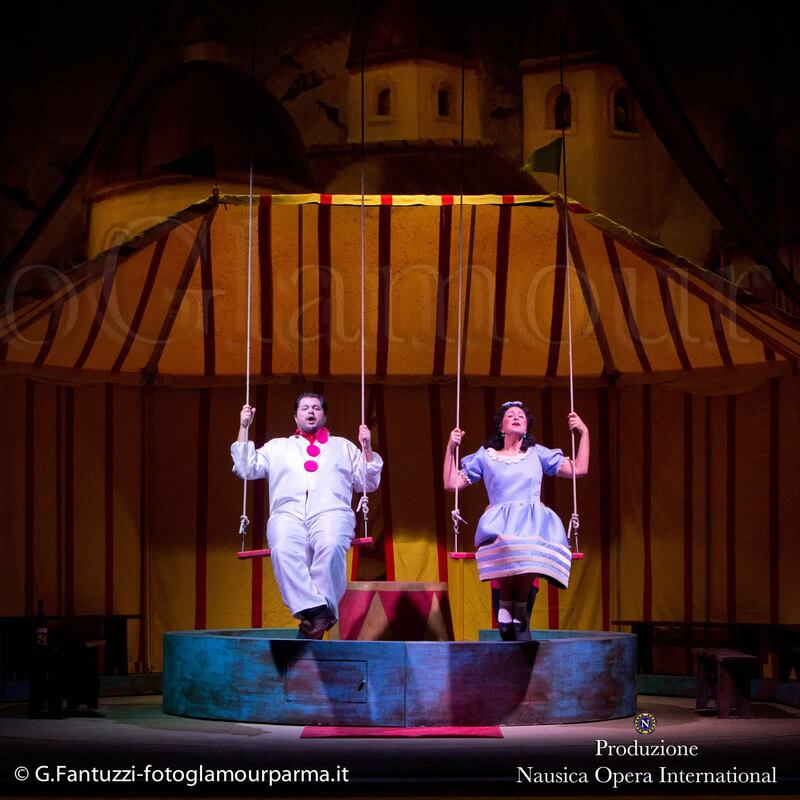 Today it is one of the most frequently performed of all Donizetti’s operas: it appears as number 13 on the Operabase list of the most-performed operas worldwide in the five seasons between 2008 and 2013. There are a large number of recordings. It contains the popular tenor aria “Una furtiva lagrima,” a romanza that has a considerable performance history in the concert hall. Donizetti insisted on a number of changes from the original Scribe libretto. The most well known of these was the insertion of “Una furtiva lagrima”, others are the duet between Adina and Nemorino in the first act, “Chiedi all’aura lusinghiera”, and the rewritten lyrics to “Io son ricco e tu sei bella” in the final scene of the opera, where this duet, originally a song written by Dulcamara for the marriage of Adina and Belcore, reoccurs as a Dulcamara solo with scabrous lyrics, becoming the de facto final aria—a feature of many Donizetti operas. In general, under Donizetti’s hands, the subject became more romantic than in the Auber version: L’elisir d’amore features three big duets between the tenor and soprano. 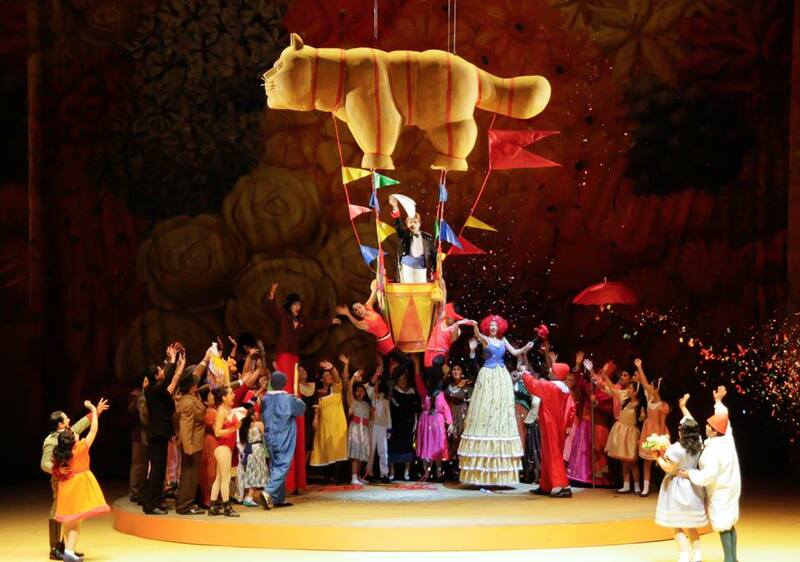 There is also personal history in this opera. Donizetti’s military service was bought by a rich woman, so that, unlike his brother Giuseppe (also a well known composer) he did not have to serve in the Austrian army. ACT 1 – Nemorino, a poor peasant, is in love with Adina, a beautiful landowner, who torments him with her indifference. When Nemorino hears Adina reading to her workers the story of Tristan and Isolde, he is convinced that a magic potion will help him to gain Adina’s love. The self-important Sergeant Belcore appears with his regiment and immediately sets about courting Adina in front of everyone. Nemorino becomes anxious (although, Adina meanwhile secretly derides Belcore’s complacency) and, alone with Adina, reveals his love for her. Yet Adina rebuffs him, saying she wants a different lover every day and following her example would do Nemorino better. Nemorino declares that his feelings will never change. The travelling quack doctor, Dulcamara (the self-proclaimed Dr. Encyclopedia), arrives, selling his bottled cure-all to the townspeople. 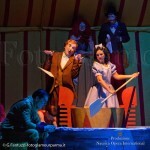 Nemorino innocently asks Dulcamara if he has any of Isolde’s love potion. Despite failing to recognise the name ‘Isolde’, Dulcamara’s commercial talents nevertheless enable him to sell a bottle of the cure-all – in reality only cheap Bordeaux wine – to Nemorino, withdrawing all his savings. To make a safe escape, Dulcamara tells Nemorino the potion needs 24 hours to take effect — by which time, the doctor will be long gone. Nemorino drinks the potion in a haste in order to watch the effect tomorrow. Emboldened by the “elixir” (in fact, drunk), Nemorino feigns indifference when he encounters Adina, as he expects that the elixir will facilitate his conquest of Adina the following day. She becomes increasingly annoyed; perhaps she has feelings for Nemorino after all? Belcore returns and proposes marriage to Adina. Still riled by Nemorino and wishing to give him a lesson, Adina falsely promises to marry Belcore in six days’ time. Yet Nemorino only laughs in response: such confidence is sustained in the belief in the magic potion. However, when Belcore learns that his regiment must leave the next morning, Adina promises to marry him before his departure. 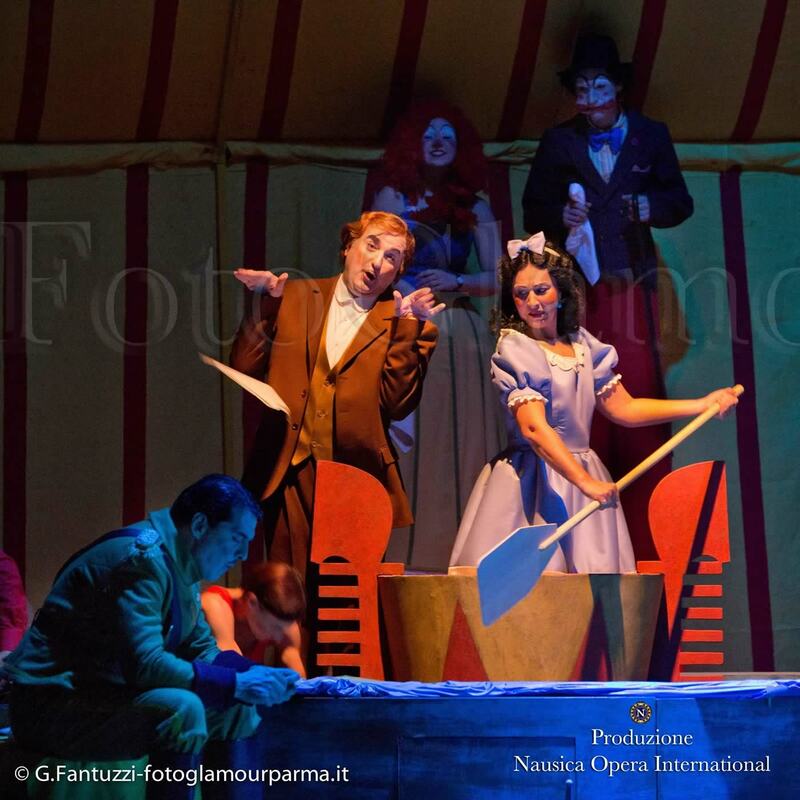 This of course panics Nemorino, who cries out for Dr. Dulcamara to come to his aid. Adina, meanwhile, invites everyone to the wedding. ACT 2 – Adina and Belcore’s wedding party is in full swing. 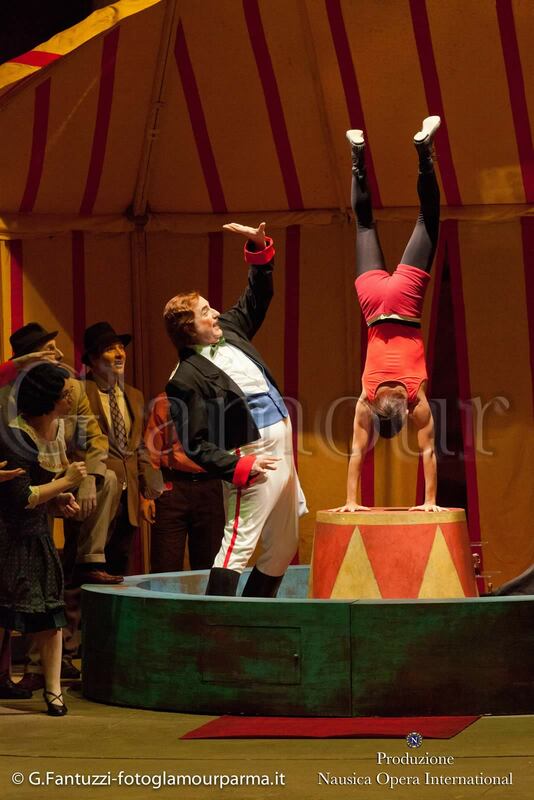 Dr. Dulcamara encourages Adina to sing a duet with him to entertain the guests. The notary arrives to make the marriage official. 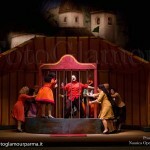 Adina is annoyed to see that Nemorino has not appeared, for the whole deal has been intended only to punish him. While everyone goes to witness the signing of the wedding contract, Dulcamara stays behind, helping himself to food and drink. Having seen the notary, Nemorino appears, depressed, as he believes that he has lost Adina. He sees Dulcamara and frantically begs him for a more powerful, faster-acting elixir. 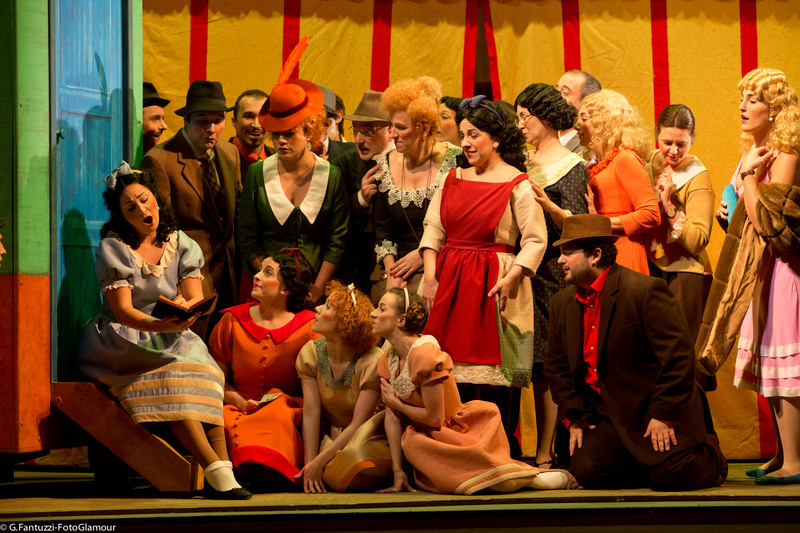 Although Dulcamara is proud to boast of his philanthropy, upon discovering that Nemorino has no money any more he changes his tune and marches off, refusing to supply him anything. Belcore emerges, musing about why Adina has suddenly put off the wedding and signing the contract. He spots Nemorino and asks his rival why he is depressed. When Nemorino says he needs cash, Belcore suggests joining the army, as he’ll receive funds on the spot. Belcore tries to excite Nemorino with tales of military life, while Nemorino only thinks of getting the potion and thus winning Adina, if only for a day before departure. Belcore produces a contract, which Nemorino signs in return for the money. Nemorino privately vows to rush and buy more potion, while Belcore muses about how sending Nemorino off to war has so easily dispatched his rival. After the two men have left, Giannetta gossips with the women of the village. Swearing them all to secrecy, she reveals that Nemorino’s uncle has just died and left his nephew a large fortune. However, neither Nemorino nor Adina is yet aware of this. Nemorino enters, having spent his military signing bonus on – and consumed – a large amount of the fake elixir from Dr. Dulcamara. Hoping to share his fortune, the women approach Nemorino with overly friendly greetings. So out of character is this that Nemorino takes it as proof of the elixir’s efficacy. Adina sees Nemorino with the women, is rattled by his newfound popularity and asks Dr. Dulcamara for an explanation. 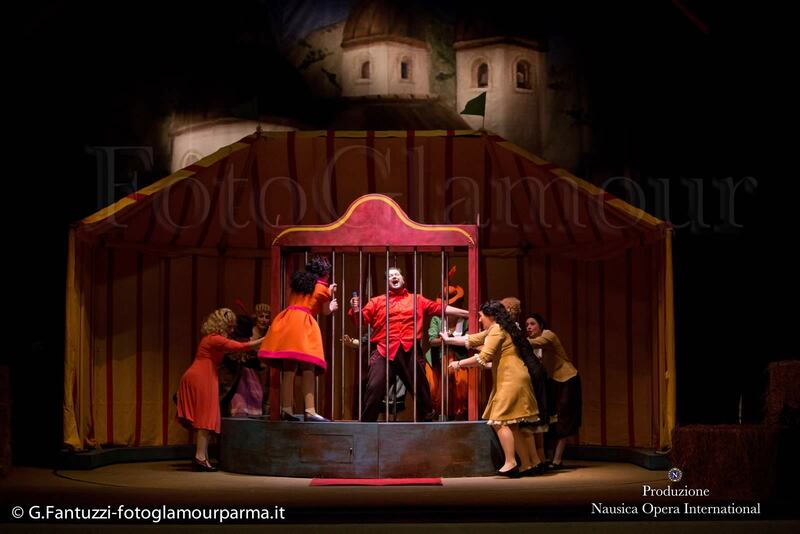 Unaware that Adina is the object of Nemorino’s affection, Dulcamara explains that Nemorino spent his last penny on the elixir and joined the army for money to get more, so desperate was he to win the love of some unnamed cruel beauty. Adina immediately recognises Nemorino’s sincerity, regrets her behaviour and realises that she has loved Nemorino all along. Although Dulcamara seizes the opportunity to try and sell her some of his potion to win back Nemorino, Adina declares that she has full confidence in her own powers of attraction. Nemorino appears alone, pensive, reflecting on a tear he saw in Adina’s eye when he was ignoring her earlier. Solely based on that, he convinces himself that Adina loves him. She enters and asks why he has chosen to join the army and leave the village. When Nemorino explains that he was seeking a better life, Adina responds that he is loved and that she has purchased back his military contract from Sergeant Belcore. She offers the cancelled contract to Nemorino and reassures him that, if he stays, he will be happy. As he takes the contract, Adina turns to leave. Nemorino believes she is abandoning him and flies into a desperate fit, vowing that if he is not loved he might as well go off and die a soldier. Deeply moved by his fidelity, Adina finally declares that she will love Nemorino forever. Nemorino is ecstatic. Adina begs him to forgive her, which he does with a kiss. Belcore returns to see Nemorino and Adina in an embrace. When Adina explains that she loves Nemorino, the Sergeant takes the news in his stride, noting that there are plenty of other women in the world. Adina and Nemorino learn about the inheritance from his uncle. 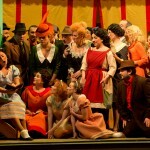 Dulcamara returns and boasts of the success of his elixir: Nemorino is now not only loved but also rich. He exults in the boost this will bring to the sales of his product. As he prepares to leave, everyone queues up to buy the elixir and hails Dulcamara as a great physician.